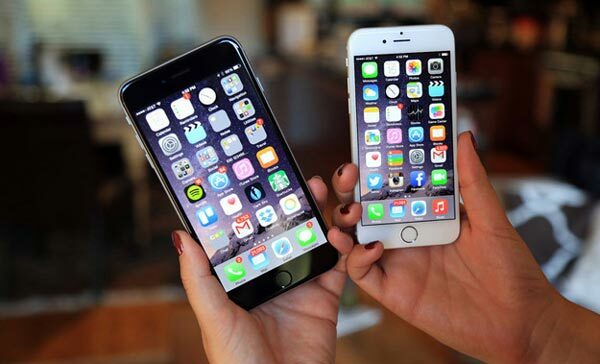 Apple has continued to develop and come up with new phone technologies. The physical design of the different phones especially the smart phones have continued to develop and change over time. However, the design in relation to iPhone 7 and iPhone 7 Plus can be said to be similar. This has caused many complaints from the users saying that the two smartphones are the same and the design has not changed in relation to iPhone 6. Well, to discount these claims, it is important to understand the design of an item and in this case, the smartphones does refer to their physical look. Instead, design refers to how the phone has been put together, the features that it offers and especially its functionality. Both iPhone 7 and iPhone 7 Plus are water resistant and splash proof. This means that the smartphones can be thrown or fall into the water; which is a common accident among many users and not be damaged. In some cases, the smartphones can fall while doing the dishes, in the bathroom or even when it is raining, which is something that we cannot control. This does not mean that the iPhone 7 and iPhone 7 Plus are water proof, they are not. However, they can hold off the water long enough to remain undamaged. Both IPhone 7 and IPhone 7 Plus have a 12-megapixel camera with new optical sensors. In addition, they have a optical picture/image stabilization that is now at par to the needs. They can also capture wide pictures or many colors such as the reds and the blues. These are some of the colors that could not be captured in the past due to their intensity. The IPhone 7 plus includes an additional camera with specific lens that allow you take much more clear pictures. It has the same capability as the other camera and can be used to improve image quality in relation to the distance that the picture is being taken from. This ensures that you take quality and perfect pictures. This is an issue that has bugged many people in the past and present. People have continuously complained about the removal of headphones and headphones jacks. This is a new technology, that is quite annoying to some but the ear pods have provided new means of achieving the same goal. Both iPhone 7 and iPhone 7 Plus have no earphone jacks. If still willing to use the headphones, they provide means to use them through an earphone adapter. However, if you wish to move along with the technology, you can use your earpods adapter and work with ear pods. This is because in the near future, many smartphones will be wireless and therefore it is important to have the adapter and to know how to use it. The ear pods use Bluetooth connection and are packaged in a caging device that is also used as a charger. The ear pods are connected to the smartphone by pairing the phone and the ear pods. They utilize a sleek pairing process that is quite enjoyable to use pertinent to the iPhones. Imagine a phone that has no apparent physical home button. The iPhone 7 and iPhone 7 Plus are smartphones that have no physical home buttons. However, they have a unique and sensitive touch based home button. It uses a technology in the phone that sends vibrations to your thumb when it comes into contact with the touch home button to make it look like a click. 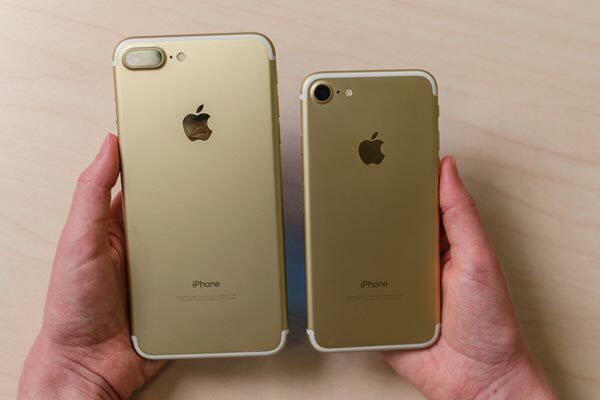 The iPhone 7 and iPhone 7 Plus come in two color finishes i.e. jet black and black. This makes them quite unique. Concerns on whether or not the phones can have scratches, the answer is that they can be scratched. This is because there are always abrasives anywhere and even while in the pocket. Once it is removed or placed in once pocket, friction occurs and the smartphones are scratched. In addition, the black finish is sort of matte is quite unique and the feel on the hand is unique. To some extent the iPhone 7 and iPhone 7 Plus, both feel sleeker. However, iPhone 7 Plus has a wider screen and takes great pictures that allows you to take better quality pictures. Generally, the color finishes are unique and amazing. It is important to know and identify the specific differences in relation to the design of the new iPhone models. To know which phone to purchase, it is important to identify the specific features that you are interested. The smartphones may be similar in appearance; however, their functionality and features differ with each step. Therefore, it is misleading to say that the Apple models are similar to their extensive differences in terms of design and functionality. To move with recent technology, it is essential to take a step and purchase an iPhone 7 or an iPhone 7 Plus for your own use. If you are into taking pictures, then the iPhone 7 Plus is probably your best bet.